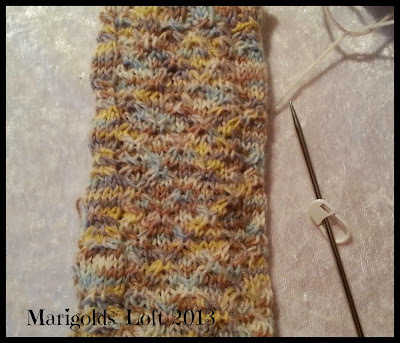 I still have only the one project to share with you today, but it is a project that I am really enjoying knitting. 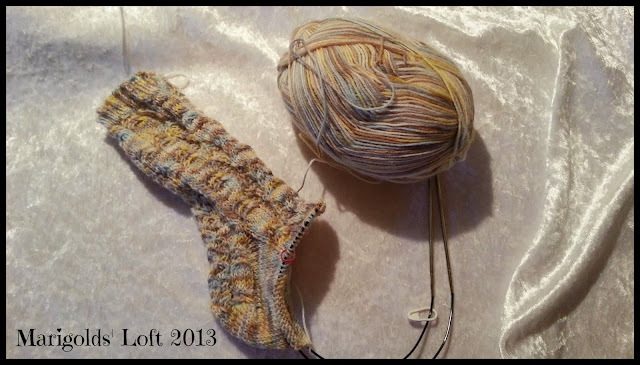 This is my Hiya Hiya Sock which I am knitting in a KAL taking place on Ravelry at the moment. I am so enjoying this pattern, it is just the right bit of challenging that I am looking for right now, and I am also quite happy to just have the one knitting project on the go. I am really busy behind the scenes with so many great new things and will be sharing them with you all over the next while. 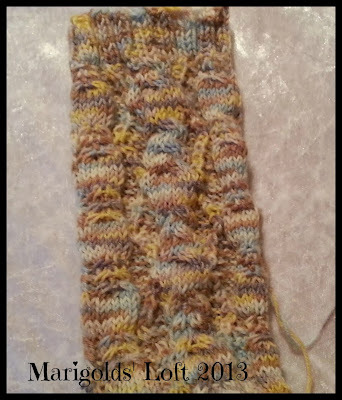 I have signed up for the course - Custom Cabled Pullovers - doesn't that sound neat? 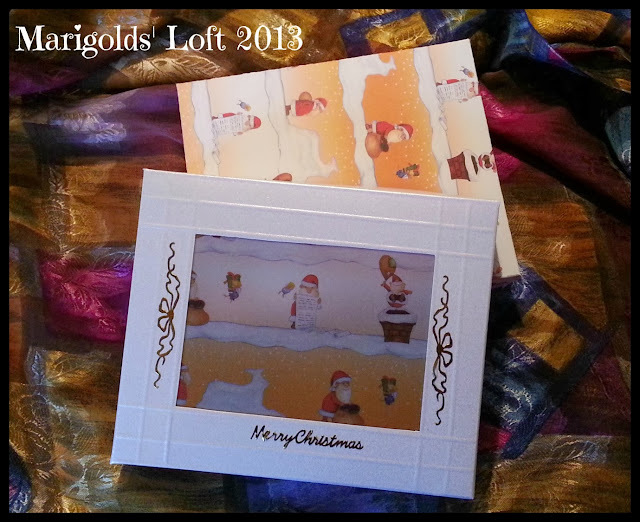 Yes, I admit it, I am having a bit of a Craftsy fling right now - but who can blame me! They have loads of classes on discount today and it is definitely worth a visit! How do you find this time of year? Is it stressful, exciting, motivating? We were planning to have a great Halloween Party this weekend for the girls so that I could use all my great Snapsterprint goodies that I received earlier this year, but we have had to cancel it as we are busy at the school bazaar which is a real pity as I was looking forward to showing them off! Oh well, we have put them aside for next year and plan to have our party a week before Halloween next year so as not to clash again with the dates! Waldorf school parents: I know it is already over by a month but did you or your children take part in the WOW day this year? What did you make or do? Kay and her class made bags which they will be selling this weekend at the bazaar, and Jas and her class did a lot of social work, cleaning gardens, cars etc. This post contains affliate links which I thank you in advance for using. As a new follower, I'm really looking forward to your Thursday tutorials. Ciao!